Entertainment news reports said the wedding ceremony was held at the Mango Farm in Antipolo, Rizal. It was attended by the couple's family and friends including those in show business. 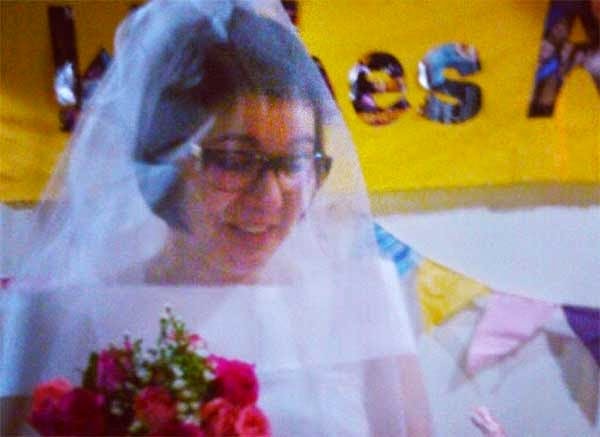 Actresses Agot Isidro, Mariel Padilla and Lorna Tolentino are among those who witnessed the exchange of marital vows. The wedding was themed "The Journey Continues," which sounds like a sequel to a movie or love story from a book. When Amy announced in October that she and Carlo were set to tie the knot, the television host described that chapter in their lives as "A New Journey." Hopefully later on she won't call it "The Journey Takes A Wrong Turn." But that's not going to happen for sure as they have been together through thick and thin for a long time. The couple already has two children. Amy Perez has a son with her ex-husband, former South Border lead vocalist Brix Ferraris.